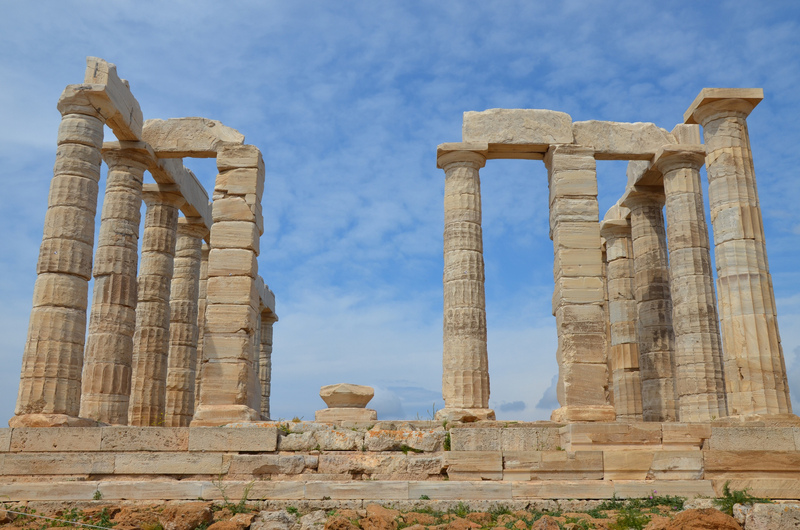 In a maritime country like Greece, the god of the sea was bound to occupy a high position in the divine hierarchy. His implacable wrath, manifested in the form of storms, was greatly feared by all mariners. In an age without mechanical power, storms very frequently resulted in shipwrecks and drownings. 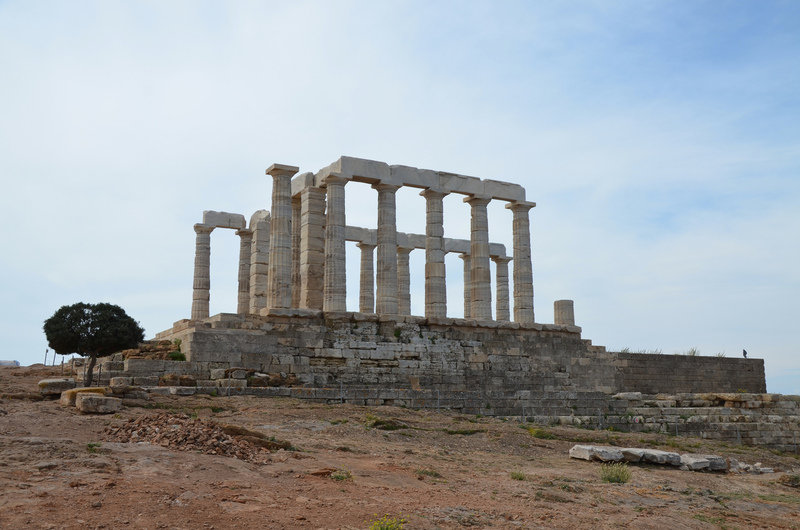 The sanctuary of Poseidon, therefore, was a venue where mariners, and also entire cities or states, could propitiate Poseidon, by making animal sacrifice, or leaving gifts. 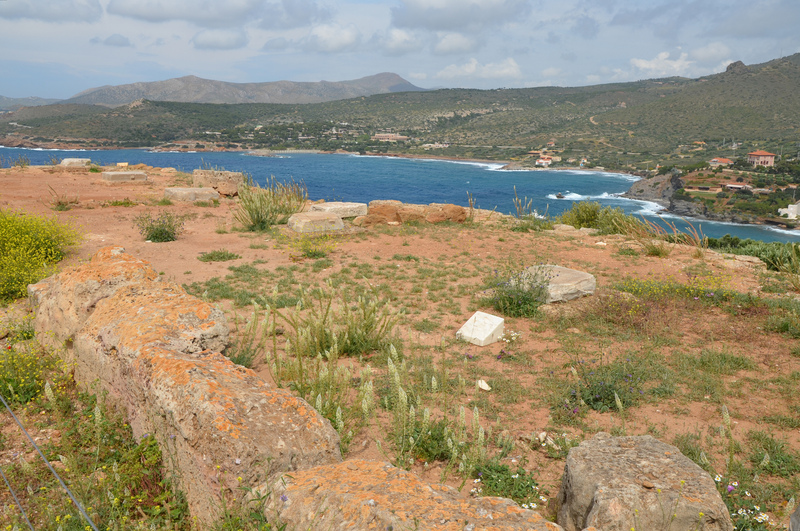 A sculptured frieze originally lined the four sides of the area in front of the pronaos. It depicted the Battle of the Centaurs, the Battle of the Gods and Giants, and the deeds of Theseus. 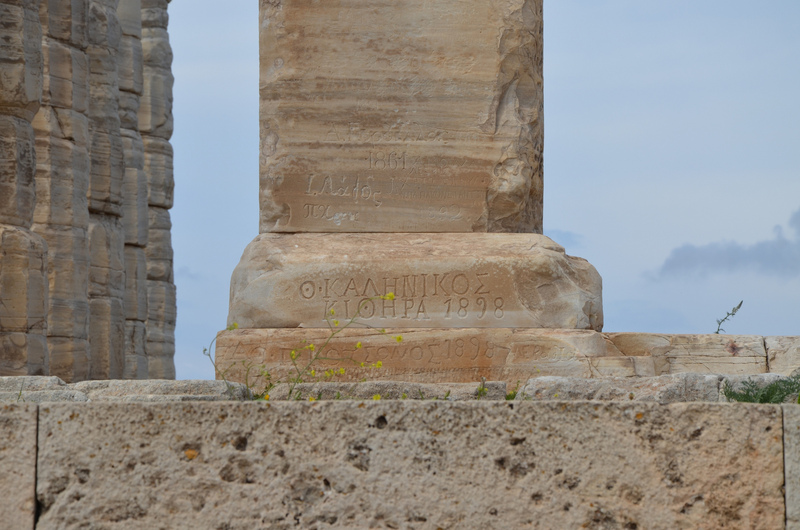 However, like on the temple of Hephaistos in Athens, there was no frieze decoration on the metopes. The relief friezes have suffered considerably from climatic conditions and exposure to the elements. The best preserved are exhibited in the Archaeological Museum of Laurion. 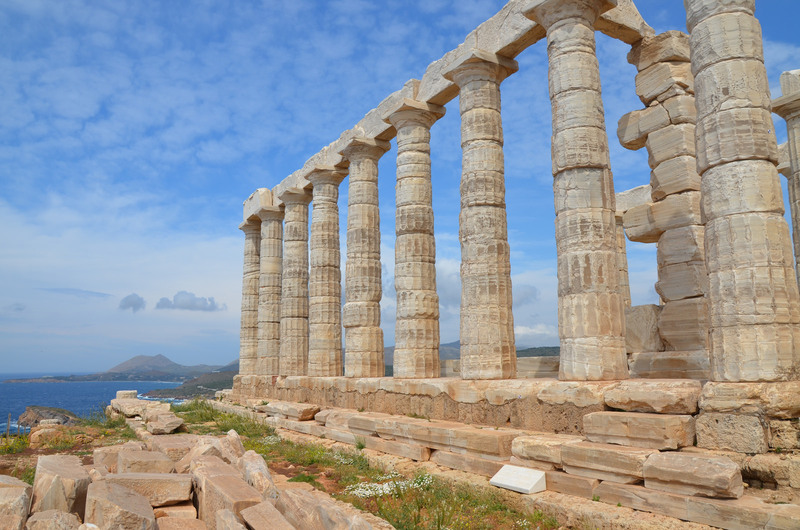 The decline of Sounion began at the end of the Hellenistic period. By Roman times the two temples had already been deserted. 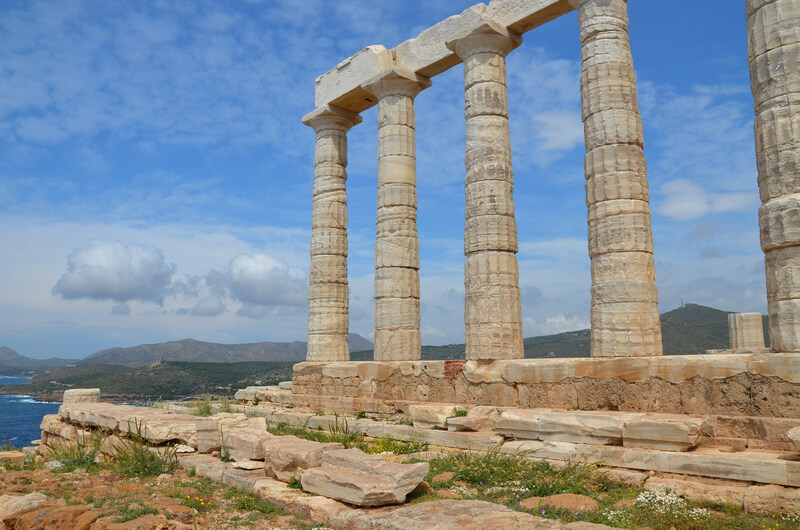 Pausanias describes the monuments in the 2nd century AD, confusing the temple of Poseidon with the temple of Athena which may indicate the abandonment of the area. 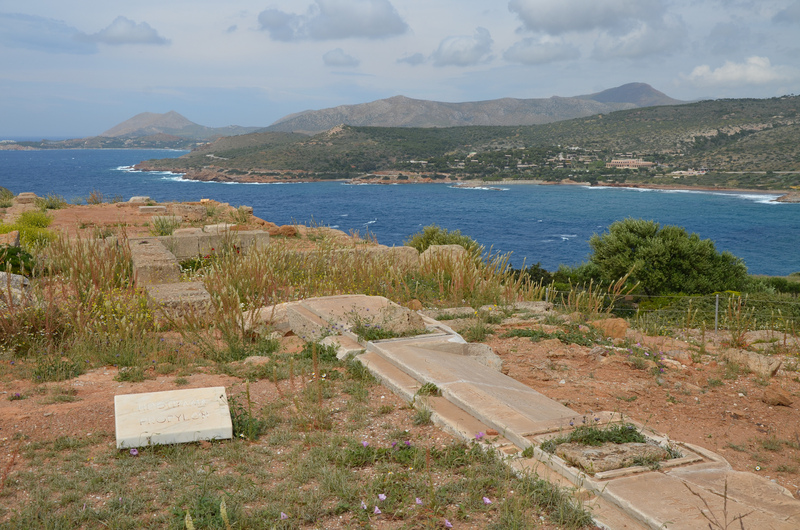 Archaeological excavation of the site in 1906 uncovered numerous artefacts and inscriptions. 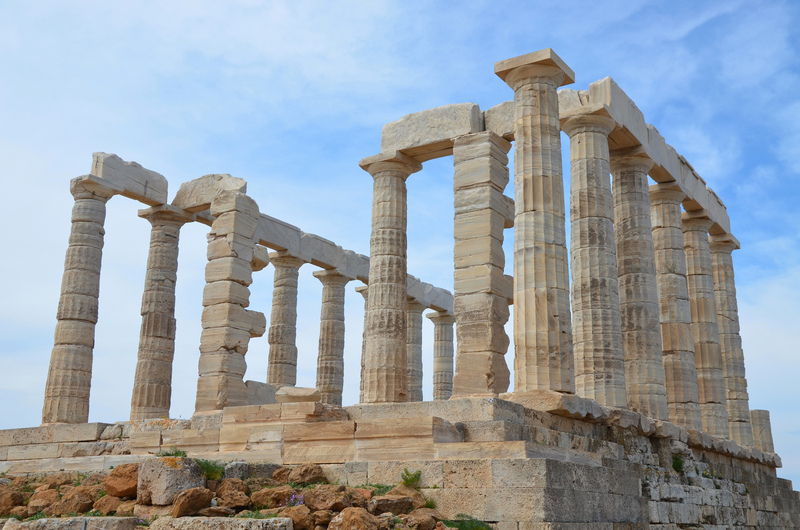 Fragments of 17 early archaic kouroi were found in a deep pit east of the Temple of Poseidon. 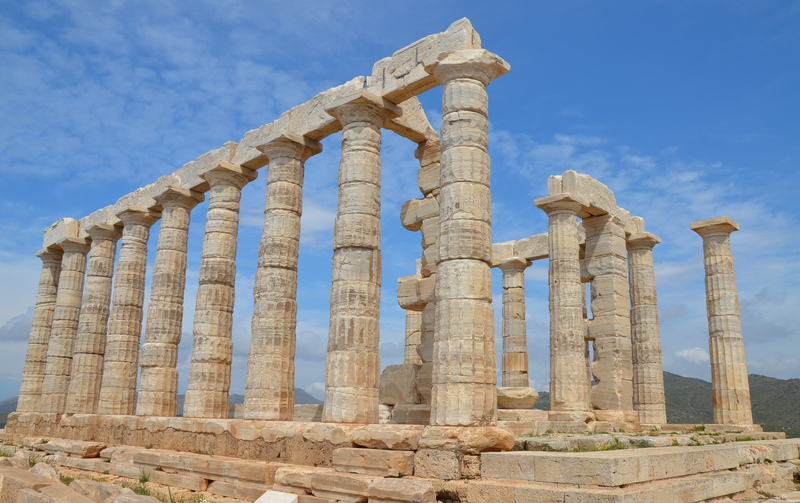 The statues were probably damaged by the Persians at the time they destroyed the earlier temple. Since they were sacred dedications, they could not be entirely discarded, and thus they were deposited in the pit to make way for newer, undamaged dedications. 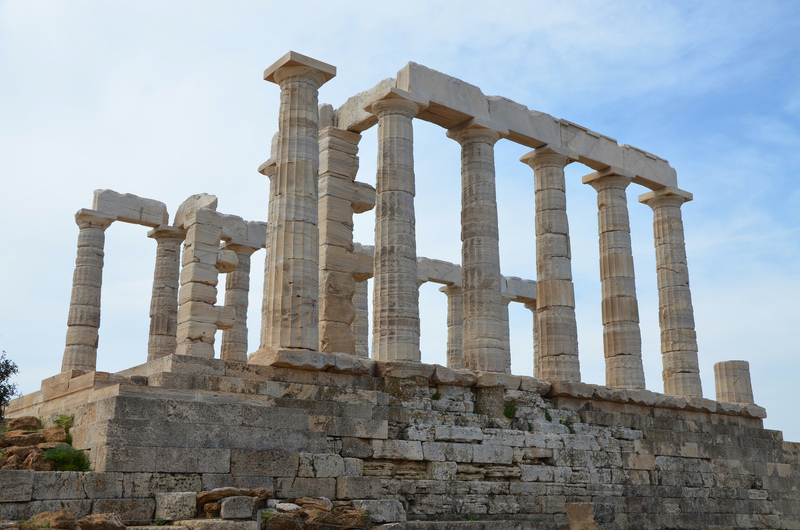 The best preserved of these statues is a 7th century BC marble kouros statue known as the Sounion Kouros now on exhibit in the Athens National Archaeological Museum. I went here some thirty years ago Carole and loved it, It is so beautiful. Thank you so much for these lovely photo’s bringing back many memories when with my late husband there.